Our tour looks the human and geographic characteristics of central Melbourne and the human impact on the environment including changes to natural features, settlement, land use, water, communication, climate and technologies and the evolution of communities over time. We start from the Yarra River near the Aquarium. This is the site of the early settlement as well as the central meeting ground of the Kulin Nation. We reconstruct the original landscape at the time of settlement from maps and records. 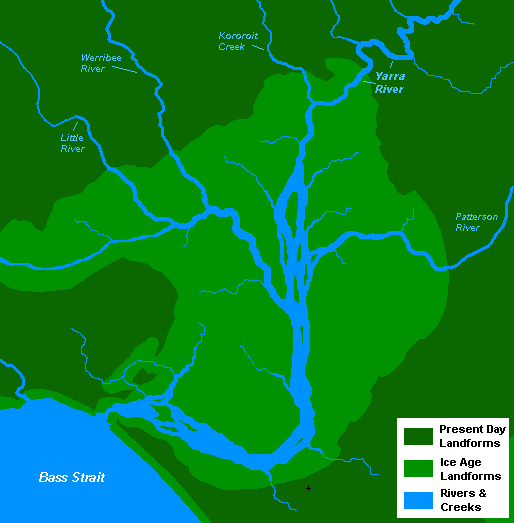 These landscapes have included Aboriginal meeting ground, first settlement site, waterfall, fish market, railway viaduct, freeway, bridges, human architecture from many periods and modern city. From there up to the physical rise to Collins and other streets are a number themes such as different land uses over time including technologies, water, built structures, communication systems, natural features, community change over time, human impacts etc, use of materials such as brick, blue stone, wood etc. 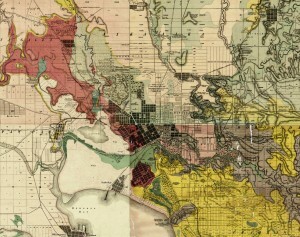 – The Basalt ledge or Yarra Falls that instigated the City. – Architecture e.g. the influence of materials materials: wood, bluestone, bricks, iron, gold. – Changing technologies to respond to the geography.